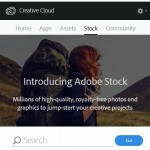 Adobe recently released a pretty substantial update to their Creative Cloud (CC) product. Included are updates to many of the products, a return of Adobe Stock Images (though at additional cost) through a partnership with Fotolia, and a variety of bug fixes (release notes and a much-more detailed blog post on update specifics). Similarly, the linking between After Effects and Premier Pro is no longer reliable. 2) The new versions of the various CC products (i.e. InDesign, After Effects, Photoshop) are not necessarily compatible with previous version of related extensions and plugins. Additionally, the ‘Camera Raw 9.1’ component used for a variety of imaging programs seems to not update properly (?) and, thus, Lightroom and Photoshop may lose support for a range of cameras. 3) The GPU Acceleration piece of the CC programs seems a bit…troublesome. As reported on Mylenium’s blog, Illustrator and After Effects have substantial issues with older source-files and proper rendering, Photoshop appears to have trouble importing video files and has issues with a few tools, and a variety of application preferences settings seem to be…unreliable. Bob Levin has also posted a good summation of the CC2105 issues. If you want to give it a shot, carefully read the install screens for each individual product you choose to update. Choose “Advanced Options” then *uncheck* “Remove old versions.” – that is, assuming you have plenty of HD space available to support both versions (I personally have a dedicated 500gb HD on my machine just for application installs as I like to keep at least the latest three versions of every Adobe product I use available). Pariah Burke has a concise writeup of these CC2015 install steps on his site too. 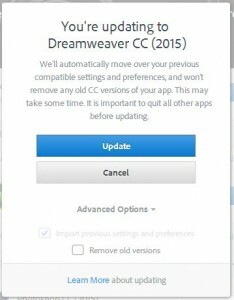 If you find yourself in a swamp of issues after installing the update, deinstall the entire CC suite, download, and install/run the Creative Cloud Cleaner tool…then reinstall the latest Adobe CC product (though, at that point, you’re surely stuck with JUST the latest versions of the applications). Finally, this is meant to be a cautionary post, not doom-and-gloom. 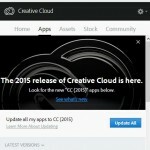 There are a lot of great feature updates to the CC2015 applications (The Register also has a good, detailed writeup) which may be worth the install, especially if you have no need for older versions or related compatibility issues. And, hey, does this mean a Captivate update is not far behind? Considering Lieve’s posted concerns on the round-tripping issues, plus a need to improve overall responsive/mobile compatibility among the variety of devices, I sure hope so! And here’s a YouTube Playlist getting into specifics.